Between Doors 4 and 5 of New Covent Garden Flower Market lies Foliage Row, the domain of two traders - GB Foliage and Porters Foliage - dedicated to sourcing and supplying the finest foliages to florists whatever their budgets. For British Flowers Week, Euphoric Flowers turned to David Gorton and his team at GB Foliage, whose stock is predominantly British. 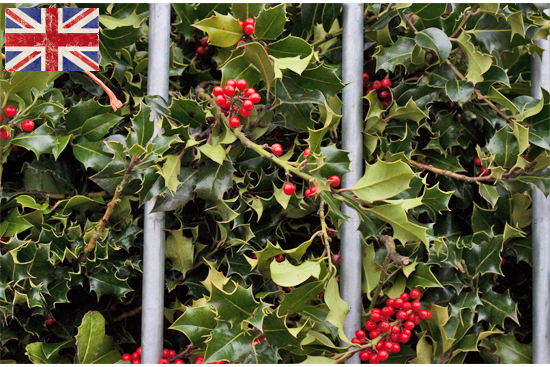 "GB Foliage are like family," says Victoria Taberer-Bond. "They work with you and are very informative. There is always something different to make us excited about what we do." Porters Foliage is owned by brothers Bryan and Barry Porter, who are 4th generation foliage specialists and have an encyclopaedic knowledge of world foliages. If you want to reflect the seasons in your work, to add texture and movement, and use materials that will create impact and last, you should take a trip down to Foliage Row. Foliage is one of the main ways for skilled, independent florists to stand out from the crowd, and is often quoted by customers as being one of the essential highlights of the Flower Market. Greenery is never just green, of course, but ranges from silver-grey or yellow to deep reds and browns. And when they are in flower, it just gets better! 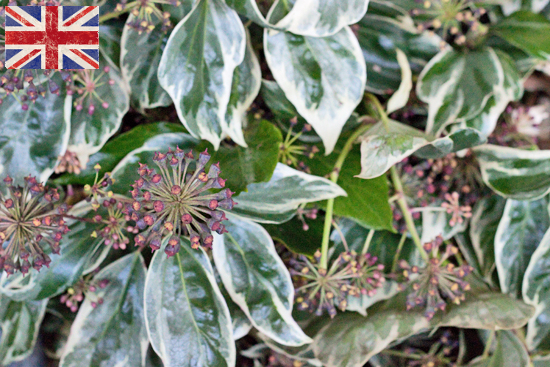 Flowering foliage has honorary status on our new British Flowers Chart. Sometimes, it pays to talk to the experts, and no more so when it comes to foliage. The teams at GB Foliage and Porters Foliage have been working with foliage for decades – in Porters' case for four generations – and they know what you can expect to get and how to look after it. If you need British-grown blossom in full flower or hydrangeas at their autumnal finest for an event, talk to the foliage men in good time. They know what they are doing and want your repeat business, so take their advice. "I think many people are scared of foliage," says Victoria of Euphoric Flowers. "They think it's unpredictable. It isn't, but you just need to know how to look after it." Both Victoria and Simon learnt these techniques during their college City & Guilds courses a couple of decades ago, and that training has held them in good stead. "It's really important to trim and split the stems, and to immerse the stems as deep as possible in water for as long as possible to stop them drying out. And where you're not sure, just ask your GB Foliage or Porters." 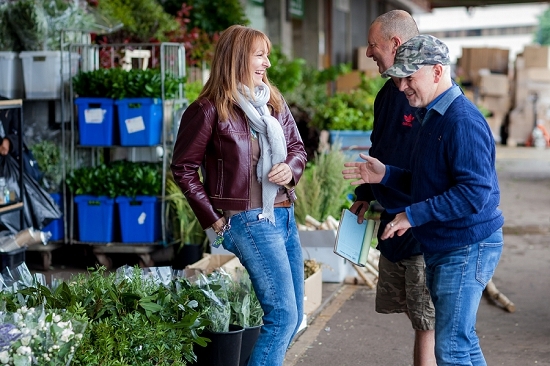 Look no further than Foliage Row – outside doors 4 & 5 at New Covent Garden Flower Market. 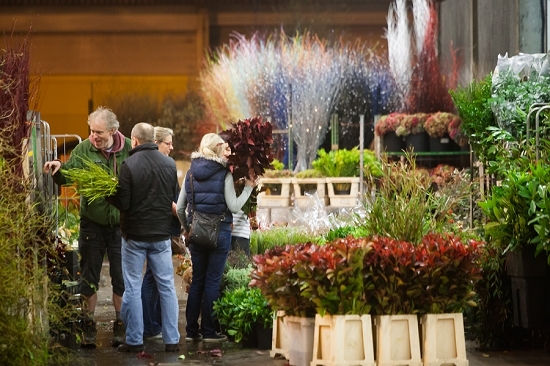 All year round, Monday to Saturday, Foliage Row is home to British flowering foliage, British non-flowering foliage and – in Porters' case – extraordinary foliages from around the world.